Affiliate marketing is the coolest way to earn money from blogging or online marketing. Once you have done the hard work, you will be earning money even when you are sleeping (or playing games). -Affiliates recommend products & when someone purchases those products, affiliates earn a portion of the sale. You have probably seen this business model in the real-estate business. In today’s era, where almost everything is digital, the same form of business conducted online is called “affiliate marketing”. You can earn anywhere from $1 to $1000/daily depending on what products you are promoting and recommending. The reason affiliate marketing is so profitable because once you have done the basic work of putting your content online, creating a system, driving traffic, etc., the money will keep flowing in. A shopper/reader clicks on a product link on your website. They land on the merchant’s website. You earn a portion of that sale. You must be thinking: “How do companies know if the sale is coming from my link or from someone else’s link? Don’t get confused with the terminology just yet. ”Tracking Link” is pretty simple. A tracking link is a unique link given to only you by the affiliate company or the product company. This unique tracking link is used to keep track of all the traffic you are sending (and sales you are making) via your website or other promotion channel. A tracking link is like any other URL, but contains a unique string/parameter for your profile. When you join an affiliate program, you will get your tracking link from the affiliate dashboard. Yeah, I know, the 2nd tracking link in the above example looks horrible & ugly. But don’t worry, because soon you will learn how to make your ugly links look pretty. These two links are my affiliate links for two different affiliate programs. When you join an affiliate program, you will get your affiliate link. All you need to do is promote those links by any method possible (legitimate methods only!) and when someone purchases the product, you will earn a commission. Each link is personalized so the company can track your referrals. TubeBuddy (A tool for YouTube) has an affiliate program where they pay 30% of commission/sale. You can create a free account & get your affiliate links from here. Well, unfortunately that happens a lot of the time & this is why this guide will help you to learn how to avoid such situations and scam affiliate companies. 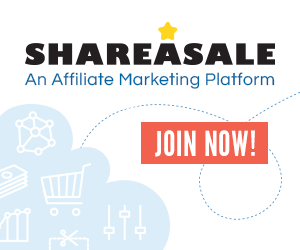 In an upcoming chapter, I will tell you about affiliate marketplaces where you can find reliable companies, which you can trust to form an authentic affiliate partnership. There are many ways for you to join an affiliate program. Websites that sell products online, such as Amazon, FlipKart or any online service, usually offer an affiliate program. When you sign up for their affiliate program (free), you gain access to their affiliate dashboard & there you can find your unique tracking link. In a later section of this eBook, I will share tricks to discover affiliate programs in every niche. Note: I have shared tricks to find more of these affiliate programs later in this eBook. Keep reading! Every affiliate program has their set Terms of Standards (TOS). For example, many of them offer a 60-day cookie period. That means if a visitor uses your affiliate link to land on a company’s page and they don’t buy anything immediately, they can buy the product within the next 60 days (on the same device) and you will still earn the affiliate commission. You can read the technical description of cookies here at Wikipedia. You will get paid for other product purchases as well. For example, if your reader goes to Amazon.com using your affiliate link & he/she purchases another product which you haven’t recommended, you will still get the same commission out of that sale. This is yet another reason that affiliate marketing is so profitable. Pro Tip: Most companies require you to have a blog or a website for becoming their affiliate partner. This helps them to get serious people, and helps you because having your own blog/website is one of the best ways to make an affiliate sale. You can follow this tutorial to launch your blog.